The Friends of the Ethel K. Smith Library act as a champion of the Ethel K. Smith Library by providing promotional, community, and additional financial support. i) To promote the presence, resources, and activities of Wingate University's Ethel K. Smith Library in the greater community and on campus. ii) Through gifts, donations, and memberships, attract support and funding for programming that enhances the Ethel K. Smith Library's presence in the greater community and on campus. iii) To serve as a medium through which Friends of the Library may become acquainted with each other, the University, and to foster an environment for sharing their enthusiasm for literature in the greater community and on campus. We would love for you to join us in supporting the Ethel K. Smith Library! For more information, call (704) 233-8091 or visit us today! When do I use my Friends of the Library card? Present your bar coded library card at the Circulation Desk whenever checking out materials. FOL members may check out a total of 6 books at any one time. FOL members may check out books for a period of 3 weeks and may renew for 1 additional week. A fine of 25¢ per day/per book is charged for books that are overdue. What if a Wingate University student needs a book I have checked out? 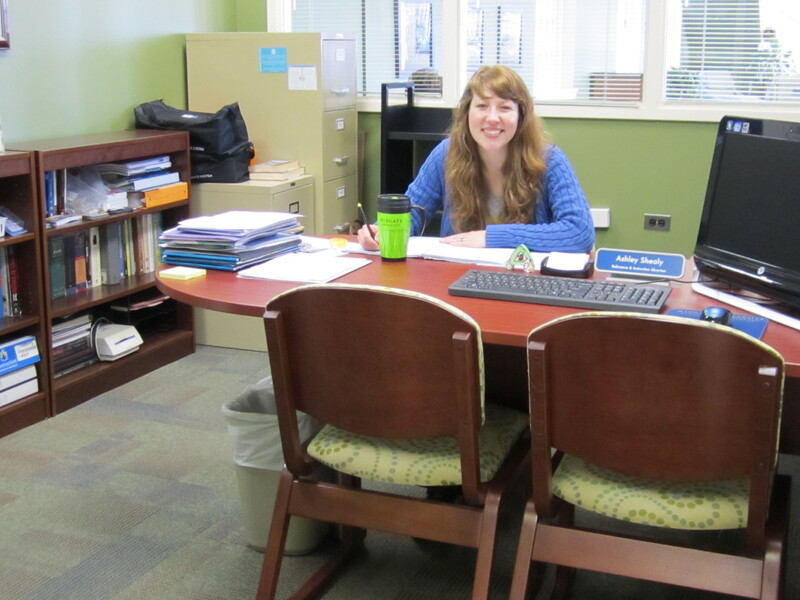 The Library reserves the right to recall any book needed by a Wingate University student. May I check out audio-visual equipment and/or materials? Audio visual equipment as well as videos, DVDs, and CDs may be used inside the building only. Viewing rooms are available in the Library. The replacement cost of a lost or damaged book is the responsibility of the borrower. The replacement cost will equal the average price of the book in that subject area. FOL Members are sent reminders for late books and may have their privileges suspended if past due amounts exceed $10.00. All members of the community are invited to use library materials inside the building. To be eligible to check out books from the circulating collections, it is necessary to join the Friends of the Library. Membership in Friends of the Library is based on an annual gift to the organization. In addition to check out privileges, Friends of the Library members receive a quarterly newsletter full of interesting information and upcoming events and receive advance invitations to special events such as the Spring Author's Luncheon, Homecoming Author's Coffee, and Library Book Sales. We welcome you to join Friends of the Library and hope that we may provide information services to meet your needs. Please visit the Ethel K. Smith Library to join Friends of the Library today! For more information, please call 704.233.8091. The name of this organization shall be the Friends of the Ethel K. Smith Library. a) Vision Statement: The Friends of the Ethel K. Smith Library act as a champion of the Ethel K. Smith Library by providing it promotional, community, and additional financial support. Section 2. Honorary membership is to be approved by the Board of Directors upon presentation to the Library of unusual and distinctive materials or for outstanding services to the Ethel K. Smith Library. Section 3. Persons who are Benefactors for five years will automatically become Life Members. Section 4. Membership shall run for a period of one fiscal year. Section 1. This organization shall hold regular business meetings in the following months: August, September, October, November, January, February, March and April, The April meeting shall be designated as the annual business meeting during which the election of officers and Board of Directors will be conducted. Section 2. The Executive Committee may call other meetings as necessary. A notice of such a meeting shall be mailed at least ten days prior to the meeting. Section 3. Any of the standing committees may call a meeting provided the Executive Committee is notified at least ten days prior to the meeting. Section 4. Quorum amendment September 2008 – A quorum shall be 2/3 of those in attendance of a regularly scheduled meeting. Section 1. The officers of the Friends of the Library of the Wingate University Library shall be as follows: Chairman, Vice-Chairman, and Secretary, ex officio, who shall be the Assistant to the Director of the Ethel K. Smith Library, and Treasurer, ex officio, who shall be the Director of the Ethel K. Smith Library. These officers shall perform the duties prescribed in the Bylaws. Section 2. The Board of Directors shall consist of the above named officers, the Assistant to the President for Resource Development, ex officio, the Chairman of the Library and Instructional Services Committee, ex officio, and twelve members elected by a majority of those present and voting at the annual meeting. Section 3. Vacancies in all offices other than Chairman shall be filled for the un-expired term by appointment of the Chairman. Section 4. No member of the Board of Directors, with the exception of the ex officio members, shall serve more than three consecutive years, but shall be eligible to serve again after one year. Addendum: In the event of the Board re-structuring, Board members will be given a one-time-only opportunity to volunteer for additional, rotating positions of extra yearly terms, not to exceed three years. Section 5. Upon completion of the Chairman’s term of office that person remains on the Board of Directors for one year as Past Chairman. Section 6. Meeting attendance is mandatory. Any member of the Board of Directors who misses three consecutive meetings, without the courtesy of prior notification to the Secretary, will be asked by the Executive Board to step down as a member of the Board. Section 7. All members of the Board of Directors, with the exception of the ex officio members, are required to join (and maintain current status) the Friends of the Library program at the minimum membership level of “Individual Membership.” Please note: Wingate University Family cards cannot be recognized as a fulfillment of this requirement. Appoint and charge a nominating committee to present a slate of candidates for election at the annual meeting. Carry out any other duties that may be connected with the office. Plan the program for the April meeting. Serve as Program/Events Committee Chair. Act in the absence of the Chairman and perform other duties requested by the Chairman. In the event the office of Chairman becomes vacant, the Vice-Chairman shall become Chairman for the un-expired term. Keep a current list of all members. Conduct the correspondence of the organization. Collect all dues and send acknowledgements. Provide a financial statement at each meeting. Serve as editor of The Newsletter. Oversee all FOL sponsored programs/events in conjunction with the Chair of the Program/Events Committee. Present proposals to the Board regarding FOL gifts and donations to the Library. Section 1. A committee shall be appointed by the Chairman to nominate candidates to serve on the Board of Directors and as Vice-Chairman. This committee shall select an appropriate number of candidates to fill the necessary vacancies. Section 2. The Chairman, Vice-Chairman, and Board of Directors shall be elected during the business meeting held in conjunction with the April meeting. Additional nominations may be made during the business meeting, provided consent of the nominee is obtained. All members of the Friends of the Wingate University are eligible to vote. Terms of office shall begin at the close of the April meeting during which the officers are elected. Section 3. Because of the rotation of Board members, each year four new members (including Chairman and Vice-Chairman) shall be elected. Section 1. The officers of the Organization shall constitute the Executive Committee. Section 2. The Executive Committee shall have general supervision of the affairs of the organization between its meetings, make recommendations to the organization, and shall perform such other duties as are specified in these Bylaws. Section 3. Unless otherwise ordered by the committee, regular meetings of the Executive Committee shall be held only when specifically called by the Chairman of the Friends of the Wingate University Library. All committees of the section are appointed by the Chairman and include the Nominating Committee, Program/Events Committee, and Membership Committee. Other committees may be appointed that are deemed to be in the best interest of the organization or are needed to meet a specific change. Suggest nominees for committees as outlined in the Bylaws or those appointed by the Board. Consult with the desired nominee prior to suggesting his/her name for consideration. This subset will focus on activities relevant to the Annual Author’s Luncheon and assist the Executive Board as directed. This subset will accept the duties of advertising, publicity, and distribution for all FOL events. Assist the Executive Board in the recruitment of speakers for events and other duties as assigned by the Board of Directors. Assist the Board Secretary in the development and culling of the Membership and Mailing Lists. Recruit Board members as dictated by the Bylaws. Section 1. The Secretary/Treasurer in accordance with University policies will deposit all cash contributions. The funds shall be kept separately by the University Treasurer and be disbursed by the University on the order of the University President, as recommended by the Board of Directors. Section 2. All non-cash contributions become the sole property of the Wingate University Library and will be added to the collection or cordoned off to other parts of the Library as the Director of the Library Services deems most appropriate. Non-cash gifts with restrictions are generally not accepted. Usefulness of the material(s) to this Library. Content and scope of the donated materials. Merit of the material(s) as established by book dealers. Appropriateness of the donation to an academic collection. Ability of the Library to adequately house a rare item, or items (in terms of humidity control, climates, space, accessibility and staff. Value as determined by a third party. Reputation of the author, publishers, etc. The rules contained in the latest edition of Robert’s Rules of Order shall govern this organization in all cases where they are applicable and in which they are not inconsistent with the Bylaws of the Friends of the Wingate University Library. These Bylaws may be amended by a majority vote of the Board of Directors of the Friends of the Wingate University Library. The Friends of the Ethel K. Smith Library Annual Author’s Luncheon is made possible thanks to the generosity of Mary Louise Little. We would like to extend our appreciation for her endowment efforts. In order to meet the primary components of the Friends of the Library Mission Statement: to encourage understanding of the work of Wingate University’s Ethel K. Smith Library and to further a realization of the present and future importance of the Library to the University’s advancement, to attract to the University Library, through gifts or bequests, new resources including funds, books, manuscripts, and other appropriate material beyond what the University budget can provide, and to serve as a medium through which Friends of the Library may become acquainted with each other and share their enthusiasm for books, the FOL hosts the Annual Author’s Luncheon. The Friends of the Library began a new tradition in the fall of 2002 by offering an academic aspect to the Wingate University Homecoming festivities. The FOL group invites local and regional authors to speak to the group. Guests enjoy a delightful author’s discussion, assorted coffees and pastries, book signings, and a chance to meet and talk with the author.